Incorporating a step-saving design, this open floorplan is family-efficient. Tray ceilings crown the dining room, great room and master bedroom, while a secondary bedroom in this house plan features a cathedral ceiling. French doors lead to the rear porch from both the great room and master suite. 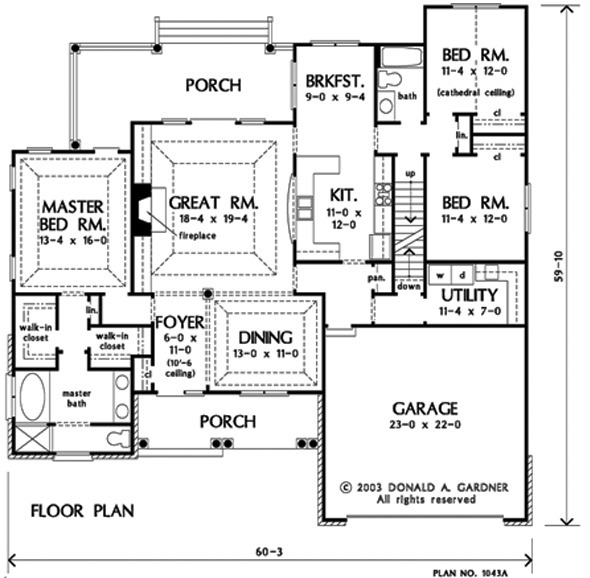 The flexible bonus room of this house plan accommodates changing needs. 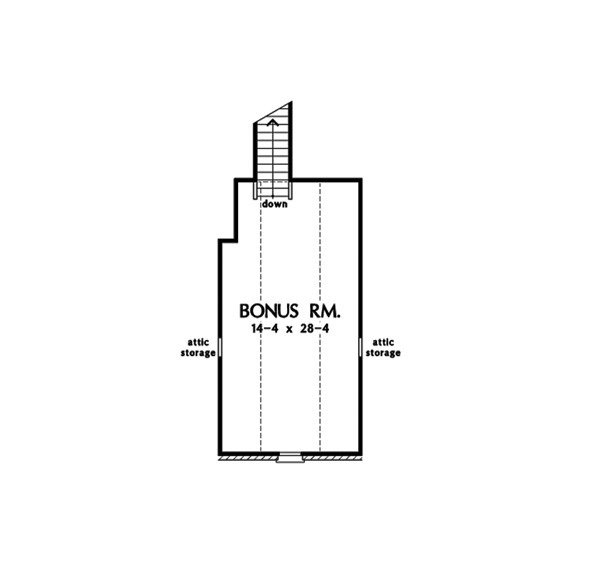 Bonus Room: 471 Sq. Ft.
House Dimensions: 60' 3" x 58' 10"
Porch - Front : 20' 9" x 6' 4" x 9' 9"
Porch - Rear : 25' 8" x 9' 0" x 9' 0"
Storage (Other) : 6' 0" x 6' 0" x 8' 0"
Breakfast Room : 9' 0" x 9' 4" x 9' 0"
Utility Room : 10' 8" x 6' 0" x 8' 0"
Bonus Room : 14' 4" x 28' 4" x 9' 0"
Master Bedroom (Tray): 13' 4" x 16' 0" x 11' 0"
Foyer : 6' 0" x 11' 0" x 10' 6"
Great Room (Tray): 18' 4" x 19' 4" x 11' 8"